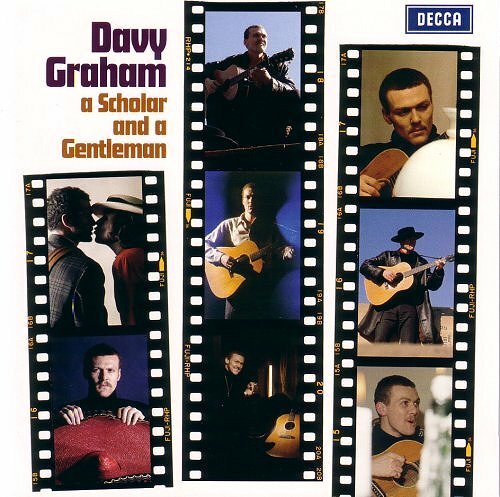 Decca's 2 CD Davy Graham retrospective A Scholar and a Gentleman offers a remarkable opportunity to explore the music of an influential guitarist who blended traditional themes with blues, jazz, Indian and Arabic influences. Davy Graham was born in Leicestershre in 1940. His father was a Gaelic teacher from the Isle of Skye and his mother came from Guyana, as did the Berlin Philharmonic's first black conductor Rudolph Dunbar. Having left school Davy Graham's music education came from busking in Paris, Greece and Morocco. 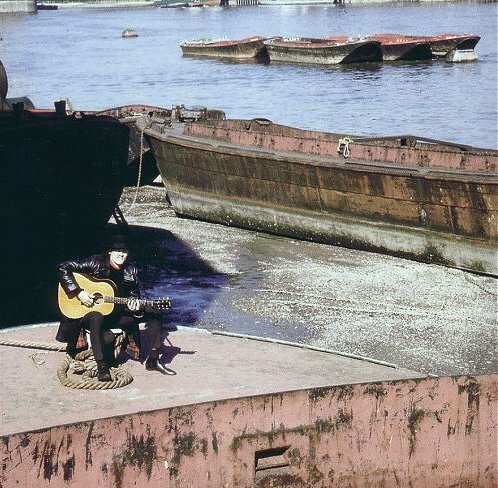 After establishing his reputation in London folk clubs and playing with Alexis Korner and John Mayall he appeared in Ken Russell's prescient 1959 TV documentary Hound Dogs and Bach Addicts: The Guitar Craze and in Ken Losey's iconic film The Servant. In 1963 Davy Graham's made his recording debut, which was captured on a hired tape recorder in his mother's basement flat in London, with his composition Angi. This went on to become a guitar classic and was covered by Paul Simon on Sounds of Silence. The DADGAD guitar tuning was created by Davy to allow him to play tunes he had heard in Morocco played on the oud. 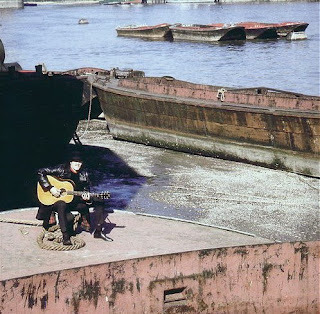 His open tunings inspired many guitarists including Nick Drake, and his style influenced a generation of musicians including Pentangle and Fairport Convention and contributed to the early development of world music. 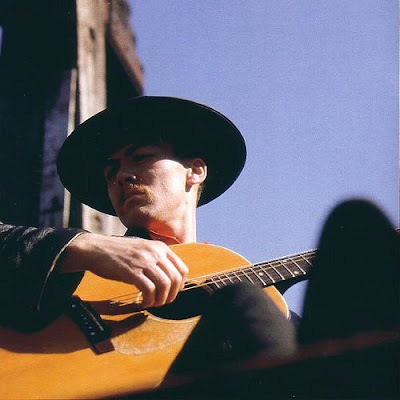 The standard superstar trajectory was not for Davy Graham and he once failed to show for a Sydney Opera House concert because he left his plane during a stopover in India, having decided on the spur of the moment to visit his sister in Goa. A strong preference for live as opposed to studio recordings is reflected in his 1967 cult album After Hours: Live at Hull University. This was recorded using a handheld microphone in a friend's room in a student residence; but don't let that put you off as the technical quality is perfectly acceptable and the music, which ranges from folk to a Hindustani raga and Bach, is awesome. Davy Graham died in 2008 and his funeral was attended by many leading guitarists including Bert Jansch and John Renbourn, and a tribute was delivered by counter culture figure Michael Horovitz. 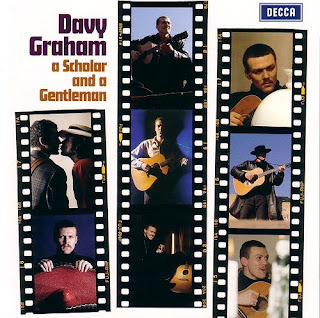 If you need any more persuading, Decca's double CD Davy Graham a Scholar and a Gentleman is currently available from Amazon UK for just £5.48 and includes his arrangement of Purcell titled Hornpipe for Harpsichord Played upon Guitar. * Malcolm Arnold's 1959 Guitar Concerto uses blues based harmonies. More on Sir Malcolm here and on the Concerto's dedicatee Julian Bream here. With acknowledgement to David Suff's excellent sleeve note for Davy Graham, a Scholar and a Gentleman which this post draws on. I bought the CD online. Images are scanned from the disc's artwork. Any copyrighted material on these pages is included as "fair use", for the purpose of study, review or critical analysis only, and will be removed at the request of copyright owner(s). Report broken links, missing images and errors to - overgrownpath at hotmail dot co dot uk Also on Facebook and Twitter. Eamonn Quinn commented via Facebook" - "Brilliant guitarist." Lyle Sanford commented via Facebook - "Thanks for this post, especially the history of "Angi". Spent many pleasant hours learning Paul Simon's version way back when."